The killings are part of a campaign of persecution by Muslim extremist groups across the Middle East against adherents of Sufi Islam, which they see as both heretical and an obstacle to their political ambitions. […] “Thanks be to God who has allowed the Islamic State’s soldiers in Sinai in applying his law and instituting religion in spite of all the infidels, apostates and envious Jews,” one fighter can be seen and heard saying. Foreign Desk News notes that the Islamic State often levels charges of “sorcery” at followers of non-violent and mystical Sufi Islam. In fact, other scenes in the video show the ISIS “religious police” blowing up Sufi shrines. ISIS and other Salafist Muslims accuse Sufis of violating Islamic law by practicing “divination” – in other words, appealing to saints or spirits for guidance, instead of demonstrating complete faith in Allah. Last November, ISIS released photos of the kidnapping and execution of 100-year-old Sheikh Sulaiman Abu Haraz, a senior Sufi cleric in the Sinai Peninsula. Haraz was also accused of witchcraft and was beheaded with a sword. A newsletter published by the Islamic State in December included a warning to Egyptian Sufis from the “morality police” that they would be killed if they did not abandon their beliefs. 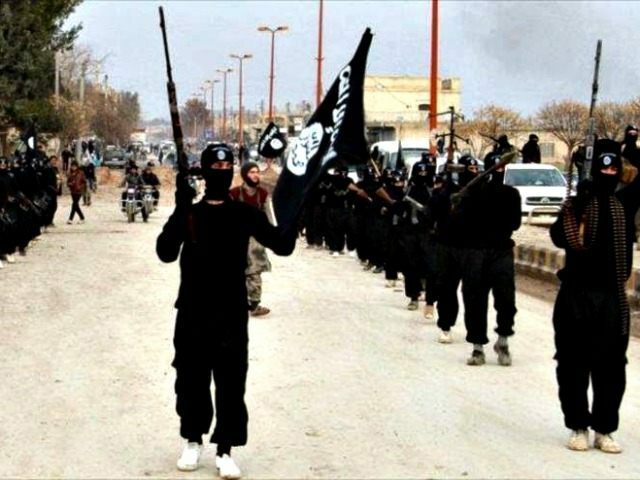 The Islamic State also aggressively persecutes Sufis in Syria, as does al-Qaeda. As in Egypt, dynamiting Sufi shrines is a major component of this persecution. Sufis are a significant religious minority in Egypt. The Harvard Divinity School estimates their numbers as roughly 15 percent of the population, in a report that notes Muslim Brotherhood antipathy to Sufism grew more pronounced when Sufi political parties began forming in the aftermath of the Arab Spring. Professor Nile Green of the University of California postulates that in addition to profoundly opposing the Sufis’ more spiritual approach to Islam, groups like ISIS, al-Qaeda, and the Muslim Brotherhood despise them because Sufi families have deep roots in their communities, and generally had decent working relationships with the governments displaced by the Arab Spring uprisings. Sufis are therefore denounced as collaborators with the systems radical groups intend to destroy. Indeed, he portrays Sufism as a highly organized school of Islam that may be the most significant political resistance to extremists in some communities, making them inevitable targets.